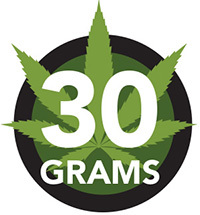 You can carry up to 30 grams of non-medical cannabis in public. Manitobans aged 19 and up can possess up to 30 grams of non-medical cannabis in public. This is consistent with federal possession limits; see Justice Canada for more information.